Since early November, Apple has been offering a significant discount on all of its USB-C adapters and accessories, including the 4K and 5K LG UltraFine displays, to ease the transition from USB-A to USB-C for new MacBook Pro owners. Apple's discount is set to expire at the end of March, meaning today, March 31, is the last day to make a purchase before prices go back up. At the current time, all accessories and LG displays are discounted by upwards of 25 percent, which is a major price drop. On the 5K LG UltraFine Display, for example, that cuts the regular $1,299.95 price down to $974. For the 4K display, the price drops from $699.95 to $524. Non-Apple USB-C accessories are also discounted, with price drops on hard drives, SSDs, adapter cables, and more. 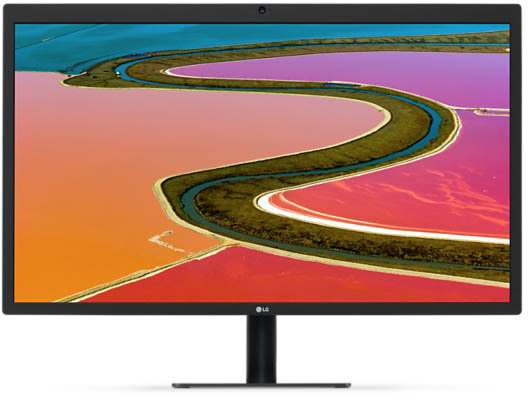 Apple's sale was originally set to expire on December 31, 2016, but after availability issues with the 5K LG UltraFine Display, it was extended until March 31, 2017. Apple could potentially extend the sale again, but it's best to make purchases now if you've been holding off on getting a monitor or a new USB-C accessory. Almost pulled the trigger on the monitor, but the reviews have been so 'meh' (even after the shielding fix) - that I can't bring myself to do it. When Apple left the display business, a little part of me died. I'll be curious to see if Apple does raise the price as significantly as that. Regardless of how it came about that the price went down it's now seen as "the price" by most. So going back up that much for a 4-6 month old product may not pan out. Apple's displays are made by LG. The panel is made by LG. But there's a lot more to a display than the panel, like the housing, video electronics, power supply, USB, microphone, speakers and webcam pieces. We all saw how LG screwed up the video electronics here. They discounted it because it is ugly, and conflicts with Apple's traditionally not-ugly designs.. Simple as that. My 5k display has such buggy software. It never recognizes my keyboard after waking from sleep. The speakers are also terribly set up. It's barely worth the $9xx it cost, I don't see how anyone could pay $1300 for one; at that point just get an iMac. Even at discounted priced they're still more expensive than competition adapters. The dongle prices are hardly a discount, and the price point is still high. Apple should accept what the market is saying about their move in usb-c only ports, and leave the prices where they are. Right, and Apple offering a $1k display with USB 2.0 speeds in 2016 is ok as long as it looks "pretty". Leave these as the normal prices.